A new book by Raman Prasad, Pamela Ferro, and Niloufer Moochhala for doing the SCD diary free to help those on the spectrum or dealing with ADHD. 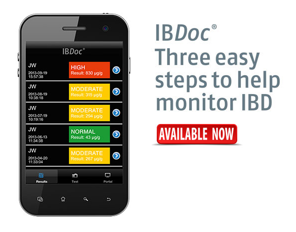 The Bühlmann company has recently announced IBDoc, a home test for monitoring your calprotectin level. It requires their test kit and an app for your smart phone. There is also an online component for sharing info with your doc, though I’m not sure if that is a requirement. I also couldn’t find a price, so for now am assuming that you’d need a prescription to get the test kits. Why haven’t we cured IBD? Why haven’t we cured inflammatory bowel disease? Amazing bee hive system that allows you to get fresh honey just by turning a valve.